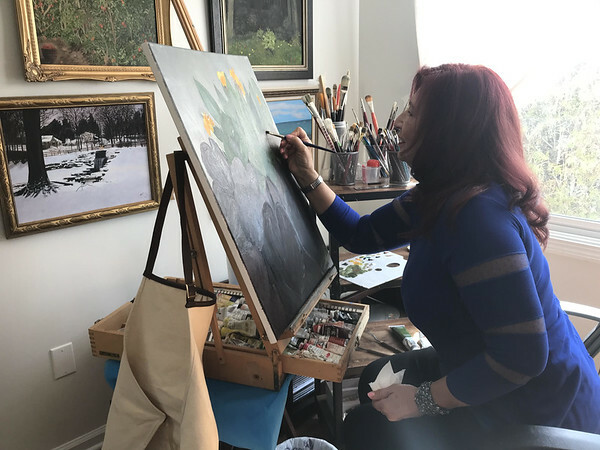 SOUTHINGTON - The art of local artist Necla Balasaygun, which includes oil paintings that incorporate pumpkin and cantaloupe seeds to create 3-D textures, will be displayed at the Barnes Museum starting April 4. 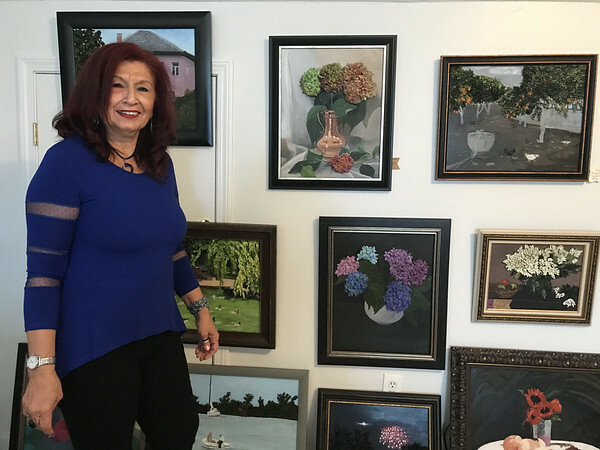 A reception will be held at 6 p.m. April 4 at the museum, 85 N. Main St.
Balasaygun, originally from Turkey, came to the U.S. in 1987 and previously lived in San Diego, Savannah, Ga., New Jersey and Bristol before moving to Southington a little over a year ago. Her art, which focuses on themes of nature and landscapes, has previously been displayed at the Southington Library, Southington Community Cultural Arts, the University of Connecticut Health Center and other venues. She also participated in a workshop in Italy with artist William McCarthy. Balasaygun explained her process of cleaning the seeds and applying them to a painting, layer by layer, with wood glue. Then, she colors them to resemble leaves on a tree. Her paintings incorporate a variety of shades and lighting. Balasaygun said sometimes she will paint a specific place, but she might add animals or trees to bring additional life to a scene. Other times, she will paint from her imagination. Some of her artwork also features old sailing ships. Once Balasaygun’s art is up for display at the museum, she said some of it may be available for purchase. Prospective buyers can contact her at 860-681-9588. Posted in New Britain Herald, , Southington Herald on Thursday, 21 March 2019 19:59. Updated: Thursday, 21 March 2019 20:02.